The best auto-care place in Gilroy has asked us to help spread the word of their brand new location. 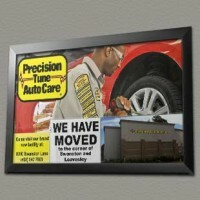 Precision Tune Auto Care has moved to the corner of Swanston Lane and Leavesley Rd. Stop by and take a look at their brand new building.